​The ​Blake Bortles era in Jacksonville could very well be over. 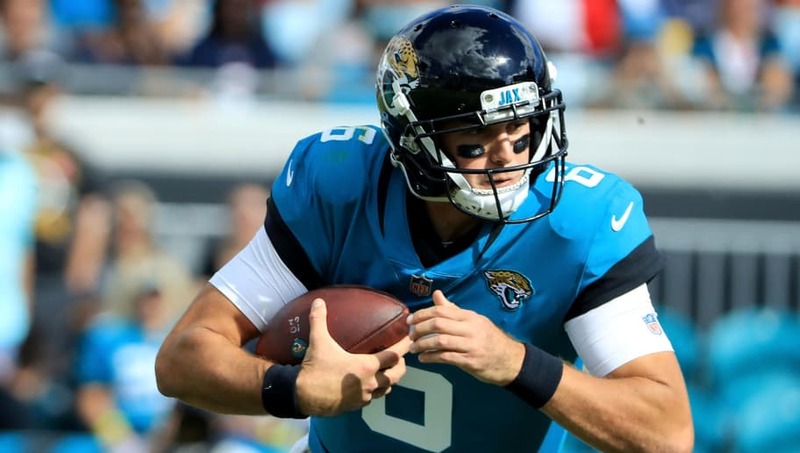 In a news conference on Monday, Jaguars head coach Doug Marrone announced that backup quarterback Cody Kessler will start on Sunday in place of Bortles against the Indianapolis Colts. Former #Jaguars OC Nate Hackett was right. A QB change was coming: Cody Kessler has been named the starter in Jacksonville. "I had a chance to talk to both Blake and Cody earlier today and I told both those guys the same thing: I'm making this change to give us an opportunity to win a football game," Marrone told reporters. "Cody knows the offense. He's been in where he's not really prepared that week, so he'll have a full week of preparation." This decisions comes on the heels of Jacksonville firing their offensive coordinator ​Nathaniel Hackett. The Jaguars are currently in the midst of a seven-game losing streak, so these drastic changes were inevitable. Kessler is a former third-round pick of the Cleveland Browns back in 2016. He was ​dealt to Jacksonville for a seventh-round pick back in March. In one game this year, Kessler has completed 21 of 30 pass attempts for 156 yards, one touchdown and one interception.